Once you make this roasted brussels sprouts appetizer for the first time, you are going to want to have it alongside every meal. They are so addicting! 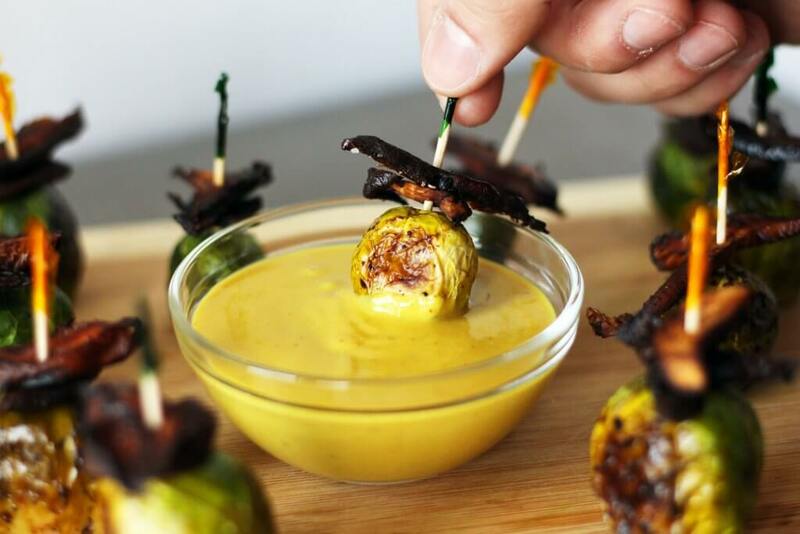 The sweet balsamic roasted brussels sprouts paired with shiitake bacon are complemented perfectly by the creamy maple dijon dipping sauce. I made this recipe as an appetizer on Valentine’s Day and loved it so much I had to make it into a video. Watch me show you how to make this delicious recipe on YouTube! The sweet, smoky shiitake bacon crisps up perfectly in the oven as you roast the tender brussels sprouts, and this perfect party appetizer can be done in just about half an hour! I had never tried brussels sprouts until I went to university and picked them up at the grocery store one day. I had only heard bad things about them as a child and had wondered why so many people disliked them. I decided to roast them with a dash of balsamic vinegar and olive oil, and they came out so sweet and tender! I couldn’t imagine anyone disliking them. 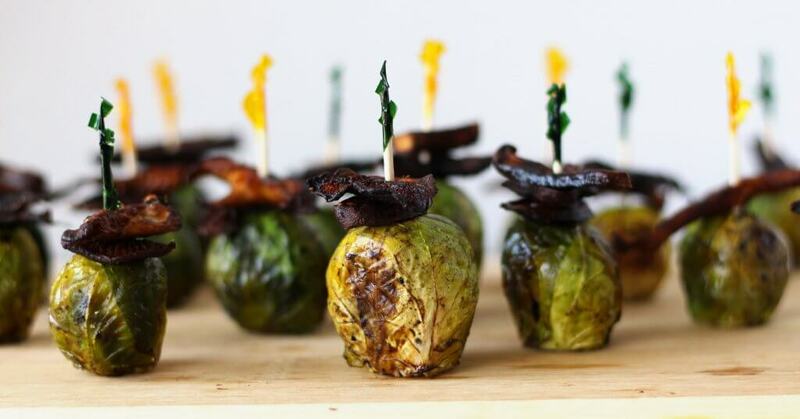 I am convinced now that even the pickiest of eaters won’t be able to resist these balsamic roasted brussels sprouts, especially when paired with shiitake bacon and coated in a creamy blanket of sweet, tangy maple dijon dip! I imagine even children who dislike brussels sprouts would love eating their veggies this way. This maple dijon dip has all the flavors of your favorite childhood honey mustard dip, but is healthier thanks to a secret ingredient replacing the mayo! I hope you love this dish as much as I do! Don’t forget to comment below if you try it or pin it for later! And tag your recreations on Instagram @zenanzaatar #zenanzaatar. 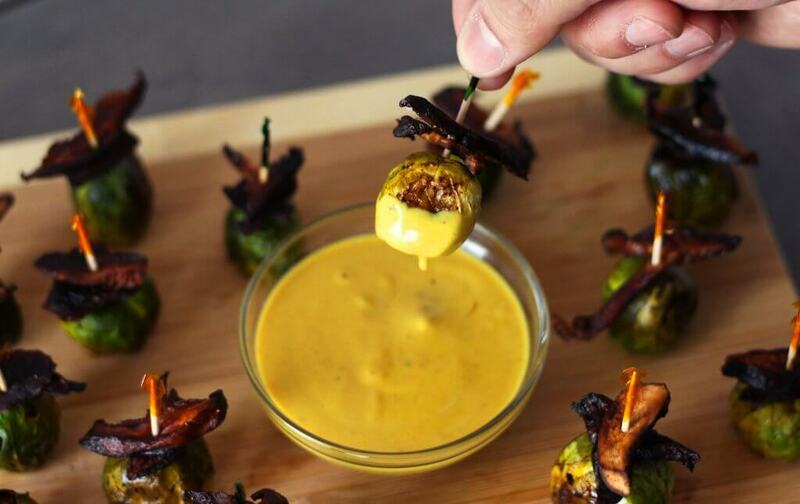 Roasted brussels sprouts with smokey shiitake mushroom bacon and a creamy maple dijon dipping sauce. Vegan, gluten-free, & the perfect party appetizer! Preheat oven to 375F. Combine all ingredients for shiitake bacon in a medium bowl, stir to coat, and leave to marinate for 5-10 mins, or until oven is preheated. Toss brussels sprouts with olive oil, balsamic vinegar, salt, and pepper. 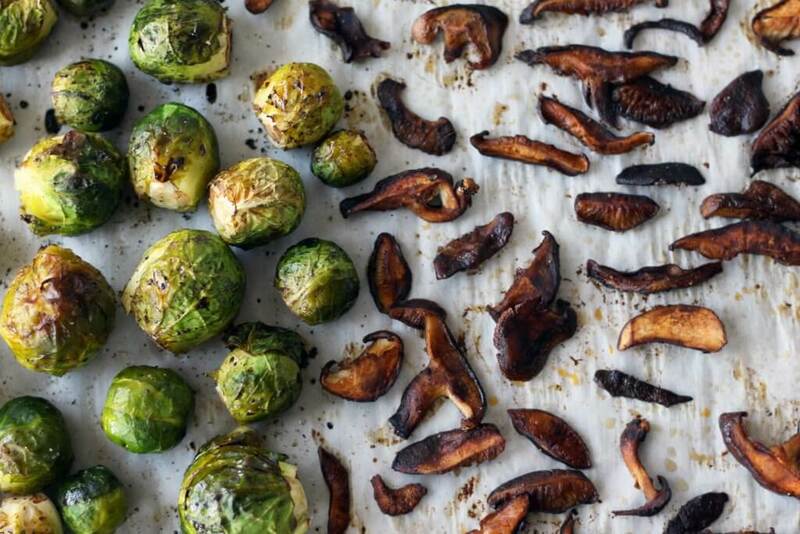 Place shiitake bacon and brussels sprouts on one or two parchment lined baking sheets. 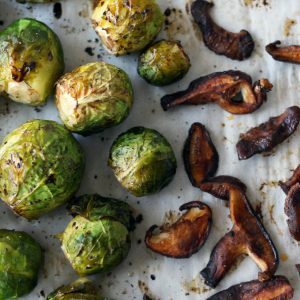 Place them in the oven and remove the Brussels sprouts after 25 minutes. The sprouts should just be fork-tender. Leave the shiitake a little longer, until it is browned and crispy, about 5-10 more minutes. Meanwhile, prepare the dipping sauce by whisking all ingredients required for maple Dijon dipping sauce together in a bowl. Remove from oven and assemble for presentation if desired. I like to skewer 1-2 bacon slices on a toothpick followed by a brussels sprout. You can also toss brussels sprouts and shiitake bacon together in a serving dish and serve that way. Serve alongside dipping sauce. Enjoy!